Nice. As a side note, I have seen large ones like that used in home built sawmills. No reason for the museum to do that but with some guides and rollers re sawing odd sized timbers would be doable. .
Am I right in thinking the saw blade tips and not the table to make bevel cuts? Thanks for the photo Brendan. Is this larger than the other one we have? Looks good size. 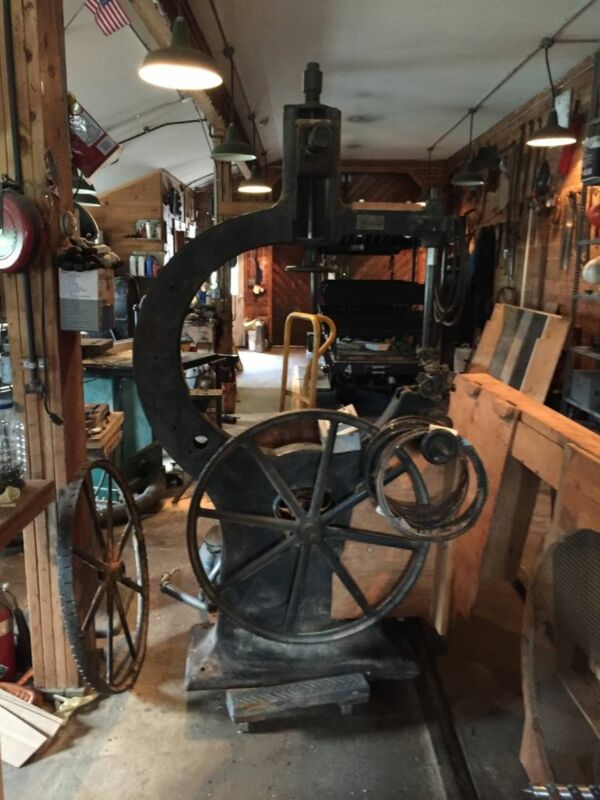 I saw a large belt driven moulding maker for sale recently. Is that something we would be interested in? Is this larger than the other one we have? Looks good size. The partially rebuilt saw is a 30" saw and has already moved on to someone who will finish the rebuild. Is this a "shipsaw" by chance? Got it. If anyone is interested in boat building look up "The Sampson boat building company" on youtube. Really interesting stuff on that channel. 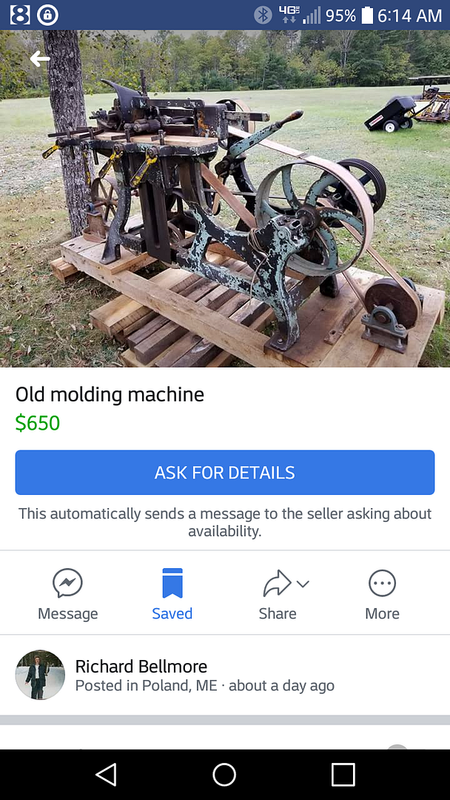 That looks like a standard band saw to me. The Maine Maritime Museum displays the Percy & Small Ship Yard. It seems very unlikely that they would not keep a ship saw.